Our discussion forum has moved to Facebook. 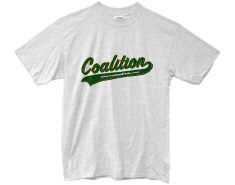 Join us at the Oakland A's Fan Coalition Facebook Group. <!-Descr-!>Anything that happens between the lines is discussed here. Are the A's going to be competitive at season's end? <!-Descr-!>User VinnieAngelo had a great idea from the old discussion forum to set up a thread where posters could introduce themselves. So go ahead and introduce yourself, and check out what other posters said. <!-Descr-!>Use this topic to discuss the post-season and off-season. How can team improve in post season. <!-Descr-!>Play Monday morning quarterback here. Do the penalties simply prevent them from winning? <!-Descr-!>To keep the size of the main topics manageable, several conversations will be moved to this archive. After conversations have been archived, no new posts are accepted. Click on any of the topics above to join the discussion.